New to Godmanchester, or a visitor to the town, and you would like to know more about the St Mary’s community? Please collect a ‘Welcome’ flyer from the table by the entrance door. Do make yourself known to the Vicar, one of the Churchwardens or sidespersons and please join us in the church hall for refreshments after the 9.30am service today. Today we welcome Thatcher and Gage Woolf into the family of Christ through holy baptism at 11.30am. Please keep both of them, their family and friends in your prayers. If possible stay and support them in person. Our traditional Advent Carol Service will be held tonight, Sunday 2nd December, at 6.30pm in place of the normal Evensong. This service is always one of the highlights in the year for our church. We begin in candlelight and, based on a theme of hopeful looking and longing, the choir has worked hard to produce a rich programme of music that is bound to stir the spirit. Please come, especially if you haven’t been before, and spread the word. After the service all are invited to share wine and mince pies provided by the choir in the church hall. Come and see the Royal Ballet’s magical Nutcracker in St Mary’s Church, Godmanchester next Saturday 8th December at 6pm. 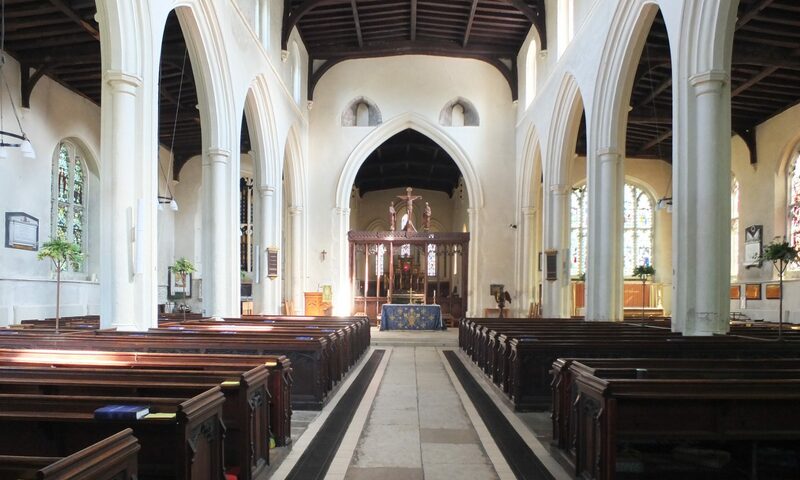 Brought to you by the Friends of St Mary’s Godmanchester, Tchaikovsky’s music will enchant the ancient stones of this wonderful building, awakening lifelong memories. Watch as on Christmas Eve young Clara travels with her Nutcracker soldier to the Land of Sweets ruled over by the Sugar Plum Fairy. There will be mulled wine, FREE SWEETS for children, a raffle with walking balloons, good children’s books and good things for grownups. A big thank you to everyone who helped make the bazaar a success: There were plenty of people to look after the stalls and there were some really beautiful handmade items for sale. The teas and cakes were excellent as usual and thanks go to the Wives’ Group for that. The hampers for the draw were wonderful and they made an excellent display. Thank you all for your generosity in giving both items for sale and your time. The bazaar committee. Once again we are planning to clear up the leaves in the churchyard. We’ll start at 9.30am on Saturday 8th December, but come whenever you can during that morning. A couple of spare rakes will be available, but bring your own if you have one. Coffee, tea and biscuits provided. We are completing an upgrade of the website. Please could those responsible for particular areas of our church life advise Adrian Sington adrian@sington.co.uk of any additions, deletions or changes needed as well as any events for the church calendar. I am preparing the rota for January to June 2019 – If you have any holiday or other dates you would wish me to avoid, please advise as soon as possible. Contact Peter Hartwell on 01480 453336 or E-mail peter.hartwell Thank you. Jim Heeley is the Newsletter compiler during December and January. Contributions by 8pmonThursday please to: jskc or 412264.